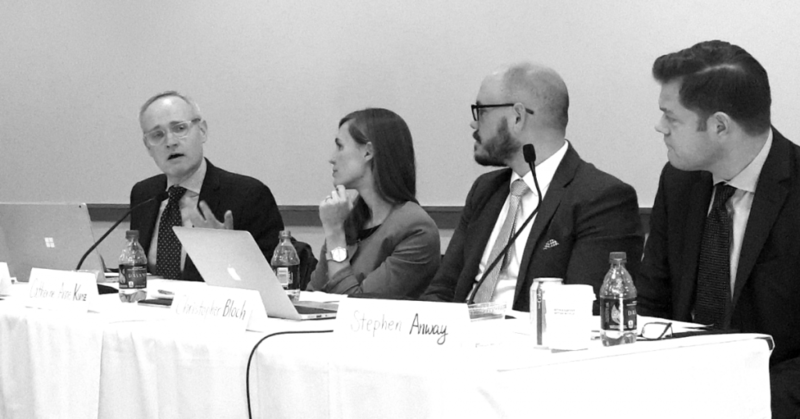 November 2018 – Harvard International Arbitration Law Students Association (HIALSA) hosted its “Hot Topics in International Arbitration” panel in conjunction with ICDR Young & International on November 8th. Chaffetz Lindsey Founding Partner and Harvard alum James Hosking served on the panel along with other distinguished panelists Stephen Anway (Partner at Squire Patton Boggs LLP, New York), Catherine Anne Kunz (Counsel, LALIVE, Geneva, Switzerland), and Christopher Bloch (Associate Counsel, Singapore International Arbitration Center). Chaffetz Lindsey is pleased to have been a sponsor at this year’s event.